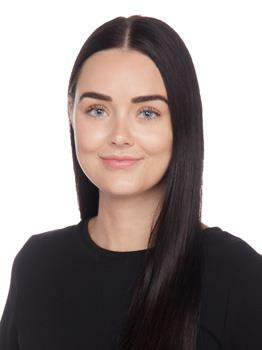 Jess started with Abel McGrath in early 2018, and has always been passionate about the Property Industry. Jess has worked in a range of industries that have allowed her to advance her skill set in Client Services and always approaches each situation with enthusiasm and willingness. Jess is passionate about bringing a smooth and memorable service to all clients and her goal is to develop and maintain great relationships in all her dealings. Outside of work, Jess enjoys travelling, keeping healthy, the great outdoors and spending time with her partner, family and friends. Make your move in time to enjoy the summer beach lifestyle. Spacious older style three bedroom, unfurnished duplex in maintained condition. Built in robe to main bedroom. Large lounge room and separate dining area. This charming home offers a very appealing lifestyle! Comprising 4 bedrooms which includes separate studio with kitchenette. Like Living ON The Beach? Experience an edge-of-the world view from this sea side perch. Providing a 'private beach bungalow' atmosphere with the convenience of apartment living! It is a hop, skip and a jump to Scarborough ever growing, ever trendy hot spots. Be sure you do not miss the opportunity to make this fabulous unfurnished Warwick property your home. This gorgeous home has all the character of yesteryear with ornate fireplace, high ceilings, decorative cornices and floorboards set on an easy care low maintenance block. This Blackall Drive diamond has had a recent makeover and is ready for its new occupants. Work from home in the heart of Subi! This neat as a pin stylish unit is ready to be matched up with the perfect tenant! Fall in love with this beautifully presented 3 bedroom home located in a friendly street in Yokine. Located right in the heart of the blue chip suburb of Claremont is this two bedroom unfurnished apartment. Enjoy the twilight years in this exceptionally maintained, peaceful and secure over 55's complex. An array of communal facilities includes a refurbished heated swimming pool, croquet lawn/bowling green and refurbished central activity room. This light and bright partly furnished 2 bedroom, 1 bathroom apartment is located in the heart of Claremont with the Claremont Quarter only seconds away.